Captain Ajit Vadakajil -  An epic journey of new discovery so fantastic that our natural instinct would be to block it out. 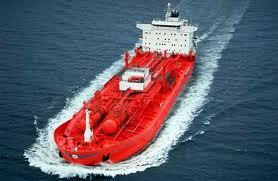 ... was the Captain of the type 1 chemical tankers. the traveller and the destination." who predominantly writes on perhaps anything under the sun. His posts are controversial in nature and some have exposed many hidden events in history. Many people think what he propagates is conspiracy theories and other pseudo sciences. and that is why he knows so many things across all cultures. and sometimes out of political correctness. His posts of Hinduism give insight to Dharma unlike any other. He has guts, he is an Indian patriot, he is a proud Indian and Hindu. ( a world record! ). My posts are free for ALL people on this planet. Any profit making person or institution publishing extracts, must clearly write " reproduced from ajitvadakayil.blogspot.com " ,- it pays to remember, that the contents are patented. This blogsite will transform your mind. You yourself, are the teacher, the pupil, the seeker, the traveller and the destination It is no measure of health to be well adjusted to this profoundly sick society. I am from INDIA, the mother of all civilizations. I will be re-writing world history, and this will surely not gratify the evil hijackers of human history. Experience the joy of your own being. Your own conscience is the best interpreter. The naked truth can never be hate speech or defamation. This blogsite does not sacrifice truth on the altar of political correctness. Don't ever underestimate the value of this blogsite. open to the sunlight. This painting is based on the computer model below. shrines in the Ohio River Basin. They are currently believed to have been constructed between around 800 BC – 0 AD.